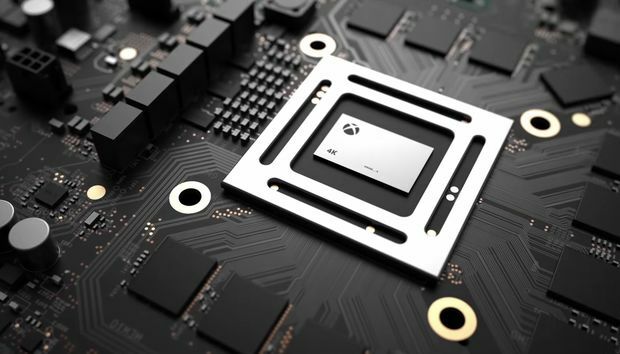 We already know that Project Scorpio, Microsoft’s next evolution of the Xbox One, will be a Radeon-infused (but Ryzen-less) monster with 40 Radeon graphics cores. But the 4K-capable machine will also draw PCs and consoles together with support for variable refresh rates (VRR) via AMD’s FreeSync 2 and HDMI 2.1, according to Eurogamer. FreeSync can eradicate screen-tearing and smooth out the overall gameplay experience at the frame rates modern consoles pump out. Currently, the Xbox One’s output hovers between 30 to 60 frames per second to ensure a quality experience in the living room, though Project Scorpio boasts greatly enhanced graphics firepower. Since Microsoft implemented AMD’s FreeSync 2, not just the base FreeSync standard, Scorpio will also offer enhanced high-dynamic range support with displays that support it. Not only will Xbox games have less jitter and tearing, but the colors on a 4K display will be far richer and deeper than what you can see now. But first, Project Scorpio boxes find a FreeSync-compatible display to get all that gaming goodness to work. On top of that, Eurogamer says Scorpio’s VRR support will only happen over HDMI. Most FreeSync-compatible PC monitors use DisplayPort for the feature. AMD only made a push into FreeSync over HDMI in 2016 in partnership with Acer, LG, and Samsung. The impact on you at home: Ever since Microsoft and Sony announced Project Scorpio and the PlayStation 4 Pro, respectively, critics have been speculating about the possibility of FreeSync-supporting consoles and televisions. The problem is that variable refresh rate technology isn’t something that television makers consider right now, and the PS4 Pro did not wind up playing nice with FreeSync. The hope, however, is that Project Scorpio—combined with demand from PC gamers—will encourage television makers to support FreeSync and HDMI 2.1 with VRR. Fingers crossed. Another scenario is that Scorpio owners might end up tucking their box on their desk, rather than in their living room. That means that they could end up playing Scorpio games on their existing FreeSync desktop monitor -- consistent with the convergence of PCs and the Xbox console, anyway. And that suggests that the long-rumored integration of mouse and keyboard support might not be far away, either. Again, fingers crossed! This story's last paragraph was updated at 10:15 AM with additional details by Mark Hachman.